The Pardis Golestan Tejarat development in Tehran is a 29000 sqm, 72-story mixed-use tower that consists of offices, shopping centre, cultural centre and a hotel. 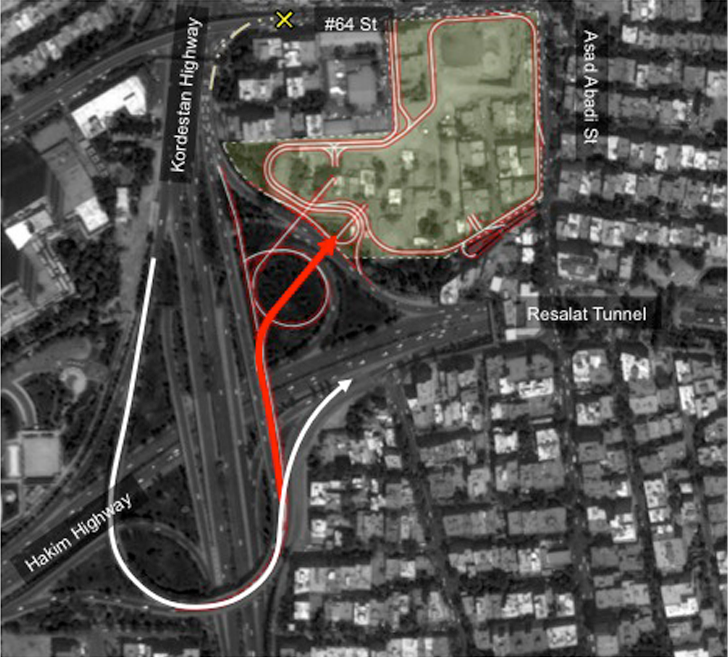 It is located in the central part of Tehran in dense residential neighbourhood, at the junction of two main highways connecting north to south and east to west of the city. 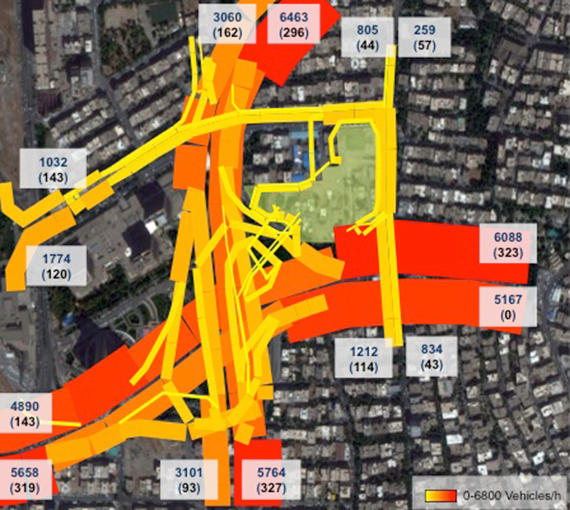 Systematica was involved to carry out a traffic impact assessment, develop a traffic study for defining the vehicular accessibility of the project and parking demand estimations. As the first step, the wide area analysis was done to understand the project location in terms of city mobility dynamics, public transport system and current access to the project area. It was followed by traffic counts and modeling, using computer software’s in order to study the current situation of vehicular flow in the urban network. Considering the vast impact of such developments in the already congested highways and local roadway network surrounding the project, different scenarios were suggested to provide vehicular access to the project site. Three types of scenario included minor, medium and major interventions. Traffic flows were forecasted and simulated using specialised software for identifying and avoiding any future criticality related to transportation and mobility of vehicles. 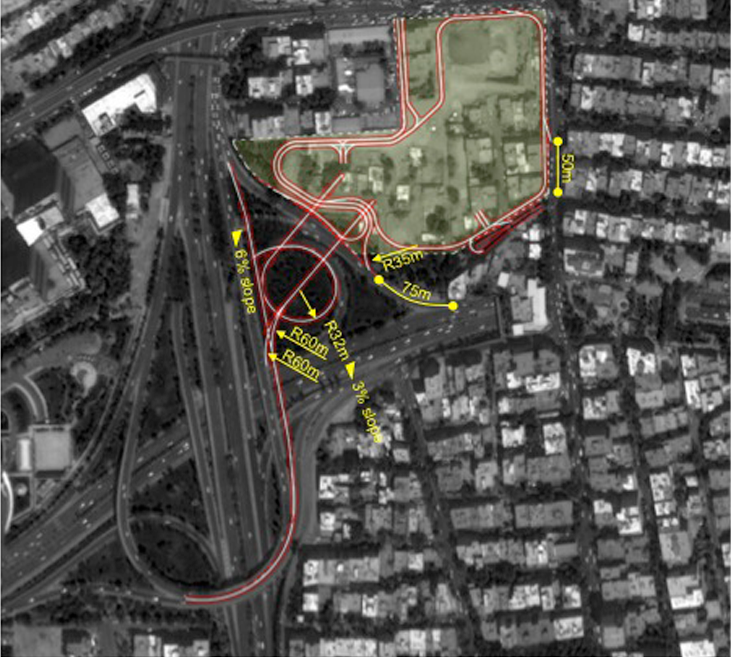 The following issue was to estimate the parking demand of the project through a complex process followed by an in-depth analytical method. Tehran parking regulation manual and ITE were used to define the preliminary demand. To achieve a more accurate estimation four reduction factors of modal shift, internal capture, internal policies and share parking benefits were implied. Ultimately, the result was cross-checked using population-based parking demand. Traffic flow was forecasted and simulated using specialised software for identifying and avoiding any future criticality related to vehicular-based transportation and mobility.